A clear statement on UK policy on the illegality of settlements and Israel’s occupation. Reiterating the advice to businesses, from the UN Guiding Principles on Business and Human Rights, to avoid adverse human rights impacts connected to their operations, even if they do not contribute directly to those impacts. Warning that businesses that are involved in violations of international law may face the risk of legal action. Security company, G4S, has faced questions from shareholders, MPs and human rights activists about involvement in the Israeli prison service, including their role transporting prisoners from the occupied Palestinian territories into Israel. French multinational Veolia helped provide a tramlink to settlements and bus services which are closed to Palestinians. They are also involved in dumping waste from a settlements onto Palestinian land, resulting in pollution. The company has faced campaigns to stop them being awarded public contracts because of these business activities. They have lost a number of these contracts. PSC urges the Government to improve their advice by firmly “discouraging” business with settlements, to proactively discourage individual companies from signing contracts, to clarify the rules on public sector procurement so that councillors can feel confident of taking human rights issues are taking into account without any risk of being sued, and to exclude all financial relationships with companies operating in illegal settlements. The British Foreign Office could follow the example set by their Dutch and German counterparts, who have actively discouraged their own companies from trading with settlements. The Dutch government successfully discouraged the engineering firm Royal Haskoning from participating in a project in East Jerusalem. Similarly, the German transport minister opposed the involved of the German rail company Deutsche Bahn in an Israeli train project that cuts through the occupied West Bank. After the advice was given, Deutche Bahn ended its involvement in the project. 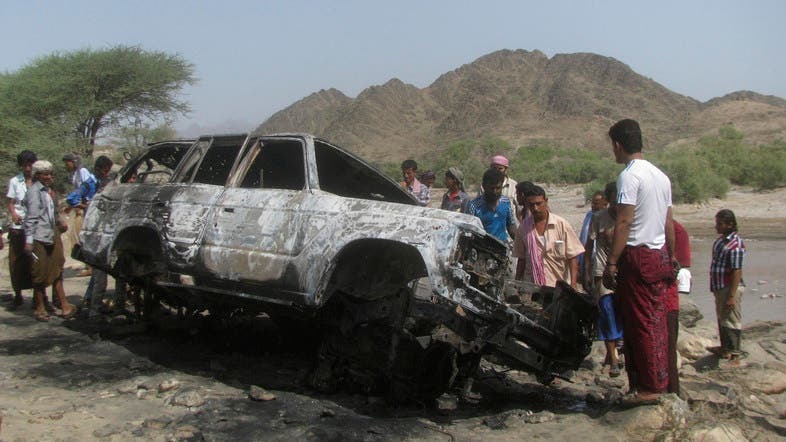 People gather at the site of a drone strike on the road between Yafe and Radfan districts of the southern Yemeni province of Lahj August 11, 2013. Missiles fired by a U.S. drone slammed into a convoy of vehicles traveling to a wedding party in central Yemen on Thursday, killing at least 13 people, Yemeni security officials said. The officials said the attack took place in the city of Radda, the capital of Bayda province, and left charred bodies and burnt out cars on the road. 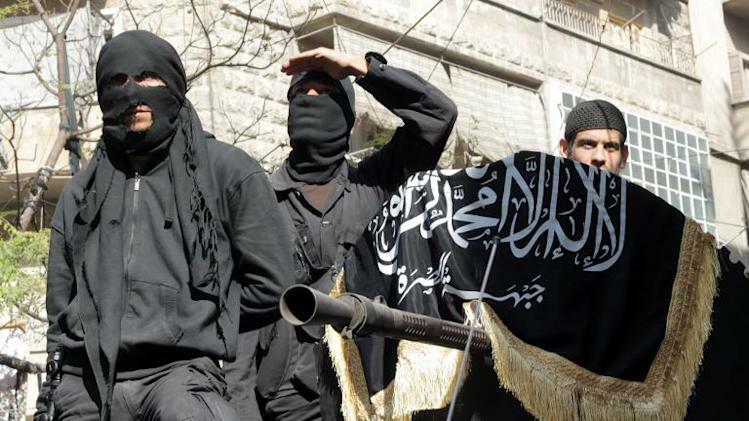 The city, a stronghold of al-Qaida militants, witnessed deadly clashes early last year between armed tribesmen backed by the military and al-Qaida gunmen in an attempt to drive them out of the city. There were no immediate details on who was killed in the strike, and there were conflicting reports about whether there were militants traveling with the wedding convoy. A military official said initial information indicated the drone mistook the wedding party for an al-Qaida convoy. He said tribesmen known to the villagers were among the dead. One of the three security officials, however, said al-Qaeda militants were suspected to have been traveling with the wedding convoy. While the U.S. acknowledges its drone program in Yemen, it does not usually talk about individual strikes. If further investigations determine that the victims were all civilians, the attack could fuel an outburst of anger against the United States and the government in Sanaa among a Yemeni public already opposed to the U.S. drone strikes. Civilian deaths have bred resentments on a local level, sometimes undermining U.S. efforts to turn the public against the militants. The backlash in Yemen is still not as large as in Pakistan, where there is heavy pressure on the government to force limits on strikes – but public calls for a halt to strikes are starting to emerge. In October, two U.N. human rights investigators called for more transparency from the United States and other countries about their drone programs, saying their secrecy is the biggest obstacle to determining the civilian toll of such strikes. The missile attacks in Yemen are part of a joint U.S.-Yemeni campaign against al-Qaeda in the Arabian Peninsula, which Washington has called the most dangerous branch of the global terrorist network. Thursday’s drone strike is the second since a massive car bombing and coordinated assault on Yemen’s military headquarters killed 56 people, including foreigners. al-Qaeda claimed responsibility for the attack, saying it was retaliation for U.S. drone strikes that have killed dozens of the group’s leaders. Security forces in the Yemeni capital boosted their presence Thursday, setting up checkpoints across the city and sealing off the road to the president’s residence, in response to what the Interior Ministry called threats of “terrorist plots” targeting vital institutions and government buildings. Beirut (AFP) – Thirteen major news organisations, including AFP, have called on the leadership of Syria’s rebels to ensure journalists working in opposition areas can do so free from the threat of kidnap. “We believe it is imperative for the leadership of the armed opposition to commit itself to assuring that journalists can work within Syria, secure from the threat of kidnapping,” said the organisations in a letter published Wednesday. “Among other things, we ask the leadership to assist in identifying those groups currently holding journalists and take the steps necessary to bring about their release,” it said. The letter was addressed mainly to the Free Syrian Army’s command, as well as to the Islamic Front, a large alliance of Islamist factions formed late last month. Rights groups describe Syria as the world’s most dangerous country from which to report. Twenty-five journalists have been killed in Syria since the start of the conflict in March 2011, according to Reporters Without Borders (RSF). The news organisations estimate that more than 30 journalists are being held. Among the missing is AFP contributor US freelancer James Foley, who was seized by armed men in the northern province of Idlib in November last year. On Tuesday, the families of Spanish freelance photographer Ricardo Garcia Vilanova, who has also contributed to AFP, and El Mundo’s Middle East bureau chief Javier Espinosa made a public appeal to the Al-Qaeda-affiliated Islamic State of Iraq and the Levant (ISIL) for their release. The pair went missing on September 16 in Tal Abyad in northern Syria. ISIL is believed to be holding several other foreign journalists, as well as scores of Syrian activists. “We understand that, as in any war zone, reporters face great risk of injury and death, and we accept those risks, but the risk of kidnapping is unacceptable, and the leadership is in a position to reduce and eliminate that risk,” said the statement. 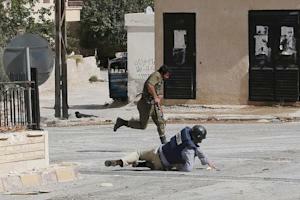 Scores of foreign journalists have crossed borders illegally into rebel-controlled zones to cover the Syrian conflict. But the rising threat of kidnapping, mostly by jihadists, has made news organisations limit their coverage from rebel areas. “The international news organisations signing this letter are committed to providing the world with fair and in-depth coverage of the war, the activities of rebel-aligned forces, and the suffering of civilians within Syria,” said the letter. “Those stories can only be told if journalists have the ability to travel within Syria without fear that they will be victims of kidnappings by criminal gangs or groups associated with the rebels,” it said. The statement also said the news organisations “ask the leadership to assist in identifying those groups currently holding journalists and take the necessary steps to bring about their release”. The letter was signed by news executives from AFP, AP, Atlantic Media, BBC News, The Economist, Getty Images, The Guardian, The Los Angeles Times, The New York Times, Reuters, The Telegraph, The Wall Street Journal and The Washington Post. Islam calls us to be responsible to our community and to work hard to provide benefit to others, rather than relying upon begging for charity. Every one of you is a shepherd and is responsible for his flock. The leader of the people is a guardian and is responsible for his subjects: a man is the guardian of his family and is responsible for his subjects, a woman is the guardian of her husband’s home and of his children and is responsible for them, and the slave of a man is a guardian of his master’s property and is responsible for it. Surely, every one of you is a shepherd and responsible for his flock. One of the ways we can be responsible is to provide for others and to instill within ourselves a strong work ethic. It is far better for a Muslim to earn his own living and provide for his family than to rely upon the charity of others. Verily, for a man to carry a rope and gather firewood, then come to sell it in the market and make himself independent thereby such that he can spend on his needs, that is better for him than asking people who might give him or deprive him. Providing charity for others is far better than receiving charity yourself. The upper hand is better than the lower hand, the upper hand being the one that gives and the lower hand being the one that receives. The Prophets were the best examples of self-sufficiency, hard work, and responsibility. For example, the Prophet David, upon him be peace, would never eat a meal unless he earned it himself. David would never eat except from the earnings of his own hand’s work. David would work with his own hands even though he was king of the Israelites. He could have lived a life of luxury and ease, but rather he set for us an excellent example of responsibility and hard work. Likewise, the Prophet Zechariah, upon him be peace, earned his living as a humble carpenter. Zechariah, upon him be peace, worked as a carpenter. Prophet Muhammad would also serve himself and perform chores for his family, rather than having others work for him. He was a man among men. He would remove fleas from his clothes, milk his sheep, and serve himself. In this regard, the Prophet would frequently ask Allah for the means to be self-sufficient. O Allah, I ask you for guidance, righteousness, abstinence, and self-sufficiency. On one occasion, a man came to the Prophet begging him for charity but the Prophet gave him the means to work for himself. Have you nothing in your house? Who will offer more than one coin? Buy food with one of them and hand it to your family, and buy an axe and bring it to me. Go gather firewood and sell it, and do not let me see you for a fortnight. This is better for you than that begging should come as a spot on your face on the Day of Judgment. Begging is right only for three people: for one who is in grinding poverty, or for one who is in severe debt, or for a painful compensation for killing. Begging without a valid excuse is a major sin in Islam and there is no blessing in the charity one receives from such begging. Do not be persistent in begging. By Allah, if one of you asks me for something and I give it to him unwillingly, then there is no blessing in what I have given him. Begging for charity is only permissible in cases of dire need such as overcoming a large debt, experiencing a calamity, or suffering in extreme poverty. O Qabisa, begging is not lawful except for one of three cases: a man who is in heavy debt, so begging is permissible for him until he pays it, after which he must stop; a man whose property is destroyed by a calamity, so begging is permissible for him until he can support himself; and a man who is afflicted by poverty attested to by three astute members of his people, so begging is permissible for him until he can support himself. O Qabisa, besides these three begging is forbidden and the beggar consumes what is forbidden. For this reason, the Prophet taught the companions not to ask others for charity. In fact, this was part of the pledge of allegiance some of the companions made to the Prophet. Will you not give your pledge of allegiance to the Messenger of Allah? That you worship Allah and do not associate any partners with Him, that you pray for five prayers, that you listen and obey, and that you do not ask people for anything. Indeed, some of those people obeyed this to the extent that if his whip were to fall from his mount, he would not ask anyone to hand it to him. It is not necessary for Muslims to go so far, but this demonstrates how seriously the companions took this command. Despite the injunctions against begging, we should answer the request of the beggar and give them charity, for the Prophet never refused anyone who asked him in the name of Islam. The Messenger of Allah, peace and blessings be upon him, was never asked anything for the sake of Islam but that he would give it. He gave a man large numbers of sheep, so the man went back to his people and said: O people, become Muslim because Muhammad gives as if he has no fear of poverty. The Prophet would even give charity even to beggars who were rude and disrespectful. I was walking with the Messenger of Allah, peace and blessings be upon him, while he was wearing a Najrani sheet with a thick border. A desert Arab overtook the Prophet and forcibly pulled his clothes. I looked at the shoulder of the Prophet and I saw that the edge of his shirt had left a mark because of the strength of his pull. The man said: O Muhammad, order them to give me something from Allah’s wealth which you have! The Prophet turned and he smiled, then he ordered that he be given charity. In summary, Muslims should develop a strong and responsible work ethic. We should do our best to provide for ourselves and others, rather than relying upon the charity of others. We should not beg unless it is absolutely necessary, but even then we should answer the request of the beggar. Dutch water supplier Vitens, a state-owned company, announced on Tuesday that it had decided to end its partnership with the Israeli company because it is operating in the occupied Palestinian territories. Israel’s Foreign Ministry has summoned the Dutch Ambassador in Tel Aviv over the Dutch water supplier Vitens’ decision to end its partnership with the Israeli water company Merokot because of its operations in the occupied Palestinian territories. The Israeli Foreign Ministry has accused the Dutch government of encouraging the world to punish Israel and everything that is related to the Jewish settlements in the West Bank. The Dutch Prime Minister Mark Rutte had visited Tel Aviv earlier this week to strengthen trade relations between the two countries, when the ceremonial visit turned into a crisis of confidence after a new Dutch security scanner donated for use at the Gaza border was refused by Israel. Rutte reportedly responded by saying “I do not understand the Israeli position,” and cancelled his visit to the Karem Salem crossing where the Dutch scanner was due to be installed. Rutte also cancelled his visit to Hebron when the Israeli security agency Shabak insisted on accompanying him. The prime minister had asked for Palestinian security services to accompany him, but Israel refused his request. The Netherlands was one of the first European countries to demand labelling settlement products. Now, it is among the first to make the move to boycott them. BEIRUT (AFP) — Syria’s Western-backed rebels were in disarray Thursday after Washington and London suspended non-lethal aid following the loss of a key border crossing and arms depots to a powerful Islamist alliance. The decline of the rebel Free Syrian Army comes ahead of January peace talks that the ascendant Islamist rebel groups have rejected, raising concerns that even if the opposition reached a deal with the regime it would be unable to implement it. The talks, dubbed Geneva 2 after a previous meeting in 2012, will be held in the Swiss city of Montreux with an estimated 30 countries invited, including Iran, a key regime ally, and Saudi Arabia, which has backed the rebels, diplomats told AFP. The Jan. 22 conference is aimed at ending the nearly three-year civil war, which has claimed an estimated 126,000 lives and displaced millions, including thousands now in tent camps blanketed with snow. The Islamic Front, a powerful alliance formed last month, is now the largest rebel force, with tens of thousands of fighters. The alliance does not include the Islamic State of Iraq and the Levant (ISIL) or al-Nusra Front, two hardline al-Qaeda affiliates. But last week it withdrew from the FSA’s Supreme Military Council headed by General Selim Idriss, and over the past week it has seized the Bab al-Hawa crossing on the Turkish border and arms warehouses from his forces. The seizure prompted the United States and Britain to suspend non-lethal aid to the FSA, dealing a major blow to a group that increasingly appears caught between advancing regime forces and the increasingly unified Islamists. “While there is definitely a case of Syria’s Islamists getting stronger, it is also clear that the Supreme Military Council (SMC) is growing weaker, that it has lost power,” said Aron Lund, a Sweden-based expert on Syria’s insurgency. The Wall Street Journal reported that Idriss fled to Turkey and then Qatar after the border seizure, but a spokesman for the opposition National Coalition denied this, saying he was meeting with FSA and Islamic Front rebels in southern Turkey. The SMC also denied the report, saying Idriss “is present at this time, performing all of his functions and meeting with fellow senior military leaders and frontline commanders”. The FSA emerged two years ago as Syria’s initially peaceful uprising escalated into an armed revolt after President Bashar Assad launched a brutal crackdown. As defecting soldiers swelled its ranks, the FSA evolved into an umbrella organisation for channeling arms and funding to fighters, and under Idriss’s leadership came to be seen in the West as the best hope of toppling Assad. But the group has lost ground as Western nations have refused to supply the heavy weapons it says it needs, fearing they would fall into the hands of Wahhabis militants and Islamists, which have their own sources of arms and funding. “From the beginning, the Islamist battalions were the only ones receiving assistance,” even when they operated under the FSA, said Selim Hijazi, head of the Damascus-based Liwa al-Sham, part of the FSA. 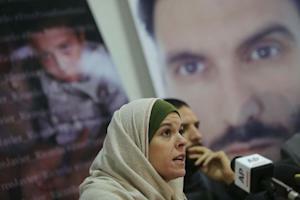 Ever since the Islamic Front was set up, “the FSA has stopped receiving aid altogether,” he told AFP via the Internet. The latest decision to suspend non-lethal aid — including flak jackets, tents, binoculars, radios and medical equipment — is mainly symbolic. 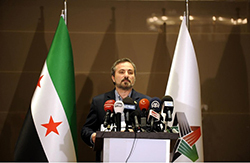 “At this point, the FSA brigades have their own back-up supply of lethal and non-lethal assistance so we don’t see it as a critical problem,” opposition spokesman Khaled Saleh told AFP. Assad’s forces have meanwhile been advancing, including in the strategic Qalamoun region along the Lebanon border, and the Damascus delegation appears set to go to Montreux in a position of strength. Among the rebels, meanwhile, there are “revolutions against revolutions, colored by military coups”, said Abu Leila, a rebel based in the northern Idlib province. GAZA CITY (Ma’an) — Hamas has decided to cancel all celebrations of the Islamic movement’s 26th anniversary, which were scheduled to begin Friday, an official told Ma’an. Activity coordinator Ashraf Zayid told Ma’an Thursday that all activities related to the 26th anniversary of Hamas have been cancelled due to damages caused by the regional storm in addition to economic difficulties. Zayid said Hamas would instead focus its efforts on providing relief services to the citizens of Gaza as the storm continues to damage homes and property throughout the Strip. Last week Hamas announced that celebrations would be restricted to local activities due to “dire economic conditions” in the coastal Palestinian territory, but now all celebrations have been completely cancelled. The alliance between the apartheid state of Israel and the absolutist monarchy of the Saudi royal dictatorship is no longer merely tacit. After recent diplomatic moves to cool tensions with Iran by the administration of US President Barack Obama, the Saudi royals seem to be engaging in a collective freak-out. It’s a display we haven’t seen since the heady days of early 2011. Back then it seemed that every day in the Israeli press there were new reports of collective Zionist freak-outs over the impending departure of their favourite Arab dictator Hosni Mubarak. In a friendly interview with former Israeli prison guard Jeffrey Goldberg last month, Prince al-Waleed bin Talal was blunt. He criticised the Obama administration for its promise of (only very mild) easing of sanctions against Iran: “Iran is a huge threat … especially against the Sunnis. The threat is from Persia, not from Israel”. Hassan Nasrallah recently accused the Saudis of being behind the bombing of the Iranian embassy in Lebanon. This was unusually frank language for the Hizballah leader, who normally masks such criticisms with veiled references – “some Arab states”. The spate of car bombs against mostly Shia Muslim targets in Lebanon this year are in all likelihood a Saudi attempt to goad Hizballah into a sectarian war – something it has so far resisted. Israeli spies are operating in Syria under the cover of the civil war. There have been many signs of this, but the latest came Sunday in Seymour Hersh’s explosive new article about the Obama administration’s use of politicized intelligence – a deception that almost led to an American war on Syria this year. In the piece Hersh mentions in passing that evidence of chemical weapons use was gathered “with the help of an Israeli agent”. On Sunday, the anonymous Saudi Twitter activist (who has over 1.2 million online followers) known as “Mujtahidd” claimed that Saudi spy chief Prince Bandar bin Sultan had met with his Israeli opposite number in Vienna last month. The identity of Mujtahidd is unknown, so this claim must be treated with some scepticism. But the tweeter does have something of a track record, and seems to have insider knowledge. According to Mujtahidd, the two spy chiefs mainly discussed Iran, Syria and the Muslim Brotherhood. This fits in well with al-Waleed’s stated agenda, and with the well-known influence the Saudis wield in the region. The al-Saud family reportedly gave $5 billion to the generals of Egypt’s coup regime, for example. Prince Bandar is often suspected to be the funder behind recent bombings in Lebanon. A mutual fear and loathing of the prospect of peace with Iran has brought the Wahhabist regime and the Zionist regime together in an alliance of convenience. Both will continue to push the Americans to start or fund wars against their regional enemies. While the two states are very different in some ways, something Israel and Saudi Arabia both share is sectarian hatred. Indeed, in Israel, sectarianism was fundamental to the establishment of the state, established on the ruins of Palestine in 1948. While the Saudi royals continue to wield unchecked power in the region, the hope for real democratic change in the Arab world seems remote. That the permanent counter-revolution represented by Israel and Saudi Arabia should now be so open does not come as much of a surprise. If America and Britain were really serious about “democracy promotion” they would cut all ties with both of these oppressive states. 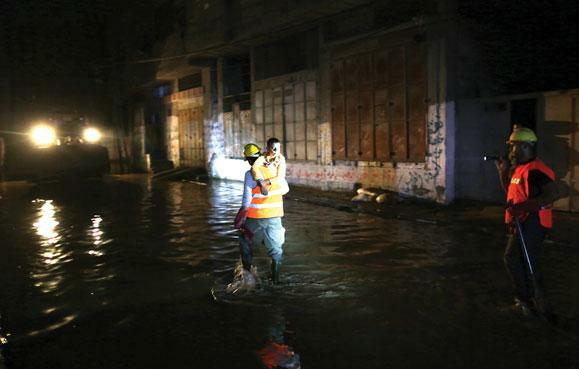 A rescue worker carries a child through Gaza’s dark and sewage-filled streets. It is cold, there is no power, and I am charging my computer using a car battery in order to get this message out. It is so cold in Gaza that everyone has cold feet and a cold nose. A new storm is hitting this besieged enclave. There is no electricity, and shortages of water, fuel, and vital services mean people just sit and wait for the unknown. Tens of houses east of Gaza City, in the northern Gaza Strip, in Khan Younes and Rafah are flooded with rain today. The sewage system cannot function and Gaza municipalities announced a state of emergency. Schools and most shops are shut, there is no traffic and few people are walking in the street. Gaza City’s garbage trucks have been at a standstill due to the ongoing fuel shortage. I’d gotten used to the bright orange truck that usually passes by, sounding its horn, a sign for all my neighbors to bring out their garbage for collection. Now the donkey is our only remaining hope. Since last week—when fuel supplies ran dry—the only sound one hears now is the click-click of their hooves as they pull their carts along the road at 4 a.m. By noon, they have collected all they can on their busy route. In Gaza’s Barcelona neighborhood, garbage containers are overflowing—a normal occurrence since fuel ran out. I went down to chat with 41-year-old Abu Ghaleb. Alone, on his donkey-cart, there’s no way Abu Ghaleb can manage to clear all the streets of garbage. A shy, slim man, his attention is focused only on collecting sacks of garbage, which he piles onto the donkey cart, empties, then moves on to the next pile. Prior to the crisis, Abu Ghaleb sold palm dates from his donkey cart, calling customers through a loudspeaker. It’s a business which doesn’t pay well—especially when people have their wages delayed and cannot buy his dates, which begin to spoil on the cart. Because the Gaza municipality can’t afford to purchase expensive Israeli oil, it pays 450 people, who work with 250 donkeys, to clear away massive piles of garbage before health risks worsen among the 1.8 million Gazan civilians under siege by Israel. After collecting piles of garbage and filling his cart to the brim Abu Ghaleb is tired and excuses himself. I am well aware that I may not see him for many days, because he is in such high demand. So my only option is to find a place to dump the garbage from my apartment. The smell is becoming unbearable. On 8th Street in Gaza City I run into a mother and her small daughter on a donkey cart. I wonder if she is doing work similar to Abu Ghaleb’s and taking her daughter with her. But I soon learn that she earns a living, and supports eight children, by recycling household waste. She can use plastic to cover a broken window or an old frame to make improvised items of furniture. We had no running water for the past two days—when there is no fuel, water is not pumped regularly into houses. The tank on our rooftop is empty. So we can’t even flush our toilet. Fuel cannot enter Gaza through the supply tunnels recently shut down by Egypt’s new government. As a result Gaza’s water-treatment plant is at standstill, with raw sewage waist-deep in some streets and flooding into Gazan homes, bringing with it rats and disease. The political strife between Hamas and opponents—Israel and the Palestinian Authority on one hand, and the Egyptian regime on the other—is affecting the life of everyone here. According to the United Nations, Turkey donated $850,000 dollars to ease the crisis. But from what I hear from the local municipality, this represents just a small drop in a very large bucket. The 16,700 liters of fuel which was received in Gaza City will last for only a few days. Officials say the Gaza Strip needs 150,000 liters per month for garbage trucks alone. Tonight, the smell of rotten sewage floods into my nose. I inhale and exhale the stink of rotten garbage. The night air is filled with this suffocating smell, and in the morning I can only hope that Abu Ghaleb will be around with his donkey and cart to try to clear away as much as he can. It makes me wonder if U.S. Secretary of State John Kerry is aware of Gaza’s situation. Would he find it acceptable if Israeli citizens lived in the same conditions as Gazans? Or don’t we in Gaza count as humans? I wander down the street to see what others are doing. Abu Karim sits in his supermarket, door closed, unable to tolerate the odor. One of his neighbors tried to lessen the smell by burning his garbage—so now the night air is filled with smoke as well as the nauseating smell of burned plastic. The basic act of breathing is uncomfortable, and I am aware that however I try to describe this mess to Washington Report readers, I cannot do justice to the present crises. My friend Richard Falk, the U.N. special rapporteur, described the situation in Gaza as a near catastrophe. I can only hope it stays at the “near” level—which is crisis enough—without getting any worse. As floodwaters continue to invade people’s homes, Abu Ghaleb—and even his donkey—understand the dire situation facing the people of Gaza. It’s one that political leaders can’t—or don’t want to—grasp.